Faridabad: “The world needs strong women who will lift and build others, who will love and be loved. We need women who live bravely, both tender and fierce, women of indomitable will. Women are like teabags. 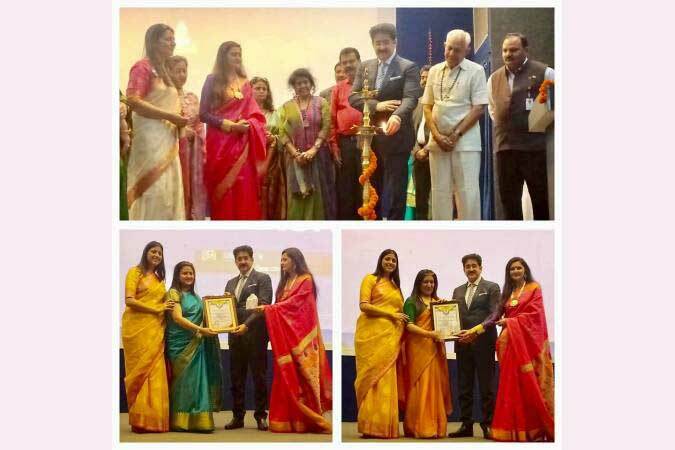 They don’t know their true strength until they are in hot water,” said Dr. Sandeep Marwah Chancellor AAFT University of Media And Arts at Women’s Faridabad Club at their annual award function. Dr. Sandeep Marwah’s presence today added a lot to the value of awards we have designed for working women. We will remember his gracious presence as Global Cultural Minister for all time to come. We all appreciate his contribution towards promotion of women in every possible field,” said Gurpreet Singh President of the club addressing the large audience at Manav Rachna University. Dr. Sandeep Marwah presented awards and certificates to the achievers from the city of Faridabad and members of Faridabad Women’s Club. The governing council of the club honored Dr. Marwah for his achievements.